Before we get started, let’s just all agree that releasing Titanfall 2 the week between Battlefield 1 (which is quite good) and Call of Duty: Dumb Subtitle (which will sell regardless) was a terrible, horrible, no good, very bad idea. Such an awful idea that I kept expecting EA to last-minute delay Titanfall 2 to...pretty much any other month. No such luck. 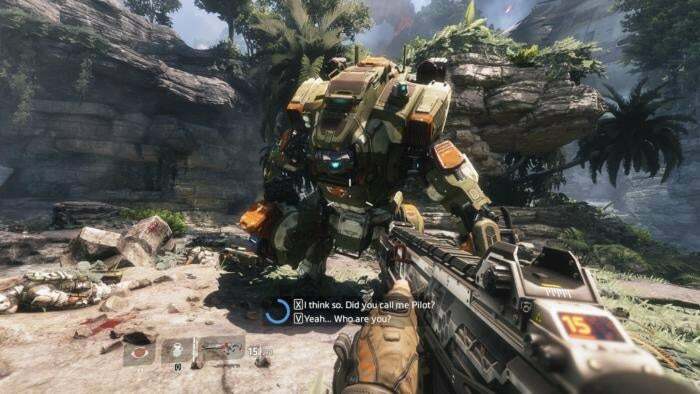 Titanfall 2 releases as scheduled, in between two juggernaut shooters (one of which is also published by EA), and it’s a bad omen for a sequel to a game that’s world-renowned for rapidly losing its multiplayer audience the first time around. So I am admittedly skeptical whether Titanfall 2 will have a multiplayer community in a few months. Respawn’s biggest ploy is that all upcoming maps and DLC will be free, and it’s admittedly enticing. But we’ll see. With that bit of bookkeeping out of the way: Let’s talk specifics. 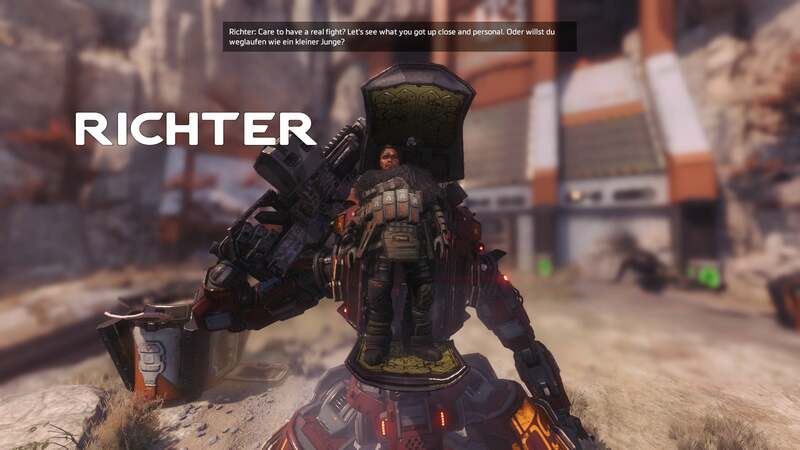 Titanfall 2 is still primarily a multiplayer game. Sure, there’s an actual campaign to play this time, but the game’s roots lie in the dual infantry-and-mech combat established by the first outing. It survives relatively unscathed. 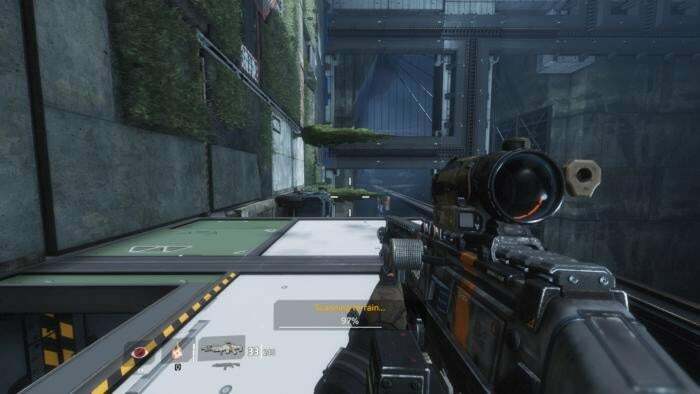 Titanfall 2 is a spectacle in action, on-foot Pilots sprinting down alleyways and running up the sides of buildings while hulking Titans shoot oversized rockets and lasers at each other in the streets below. It’s a dynamic I loved in the original, and I’ve been happy to sink some hours into a sequel. Some of the beta’s more egregious changes have been rolled back, too—particularly the method by which Titans spawn. 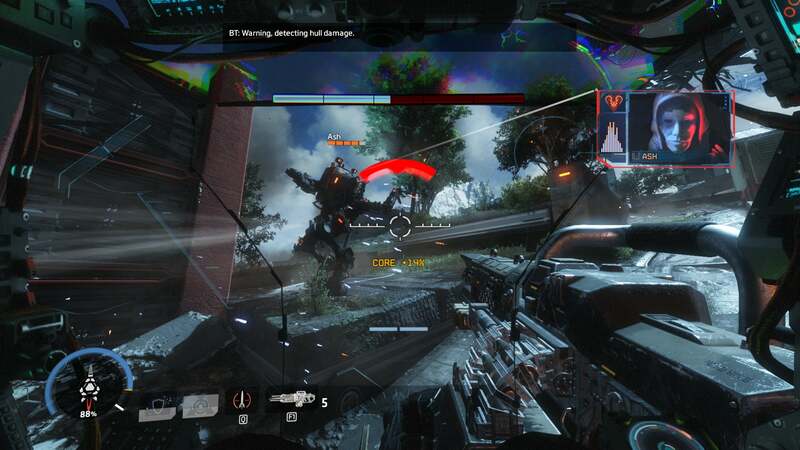 Early in the beta, Titanfall 2 had it set up so that Titans were earned only through kills, greatly reducing their prevalence. Now it’s (as far as I can tell) some combination of kills and time, with raucous three-on-three Titan battles a common occurrence. The other big complaint coming out of the beta was that Titans no longer have shields, and unfortunately this aspect survived through release. Instead of a rechargeable shield you can now steal batteries from enemy Titans and plug them into your own for a quick repair, but it’s a huge pain to pull off and has barely factored into my matches so far. Maybe when people get more accustomed to the game we’ll see more of it. The immediate outcome of that design decision is that Titans feel altogether too fragile. Being outnumbered is an immediate death sentence, and unless teams coordinate their Titans (which will never happen in public matches) it means easy pickings for the enemy. I’m having a decent time, regardless. 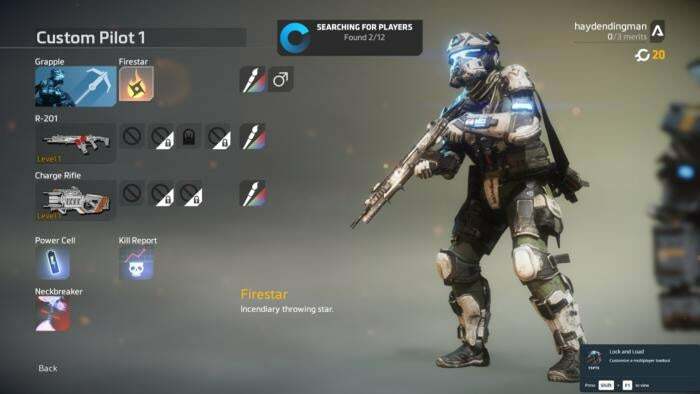 I do appreciate how much Respawn bolstered the customization/load-out part of the game, as that was one of my main criticisms in the first. Titans now come in six varieties, including one that wields a sword and one that spews fire. Pilots have a similarly broad range of weapons, each with some sort of stupid gimmick to differentiate them. (The one that made me laugh hardest is a gun with horizontal recoil.) You can also change the color or pattern of just about everything, which adds to the “It’s mine” factor. Oh, and instead of grenades you can equip flame-spewing shuriken. It’s absurd and amazing. But at its core it’s Titanfall, for better and worse. The AI grunts in the default Attrition and Bounty Hunt modes are still dumb cannon fodder, there are too many modes with too few players, and the maps are lovely but feel sort of interchangeable after playing through them (except for the meat grinder that is Crash Site). My biggest complaint is that the 12-person cap on most modes returns, making larger areas feel awkwardly empty. Like last time, I have to imagine the low player count is due to consoles, and again like last time I’m left wishing the PC version ramped to a more chaotic 16- or 20-player load. I firmly believe it would be more interesting, especially given how gigantic the maps are (to allow for Titan-on-Titan fights) and how much time you spend running back to the action as a lowly Pilot. Enough about multiplayer. 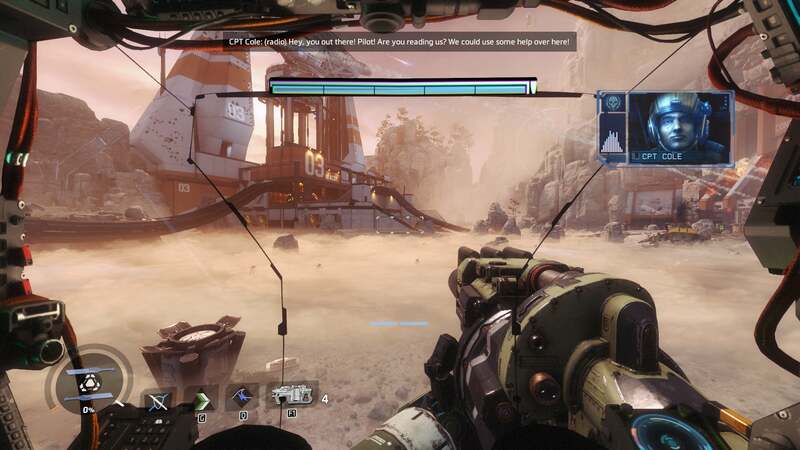 The biggest addition to Titanfall 2 is, as I mentioned earlier, an honest-to-goodness singleplayer campaign, drawing on Respawn’s ex-Infinity Ward DNA to create something that feels remarkably like mecha-Call of Duty. World-ending stakes, big explosions, no-time-to-chat as you blast your way through a bunch of linear environments. To its credit, they’re pretty creative environments. 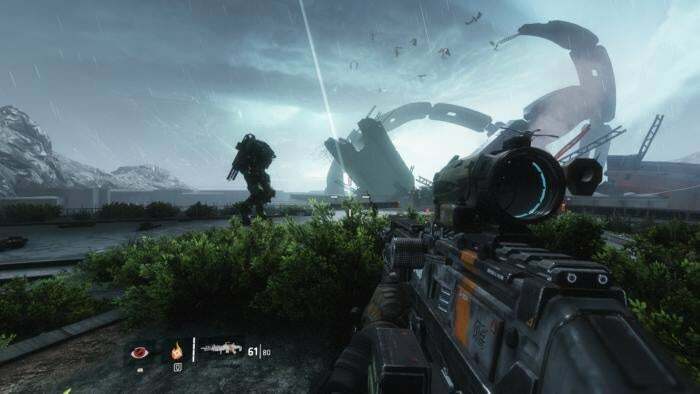 Over the course of six or so hours, Titanfall 2’s campaign explores every permeation of its core mechanics: shooter, mech-shooter, and platformer, all combined and re-combined in various ways. And this experimentation leads to Titanfall 2’s most memorable moments. There’s a level where you reposition bits of scenery with huge cranes, creating paths for your pilot to run between enemy-infested platforms. Another has you navigating a massive factory, engaging in shootouts while trying to avoid being crushed by the assembly lines. A third has you scrambling across the hull of a spaceship trying to take out its thumping gun batteries. These sprawling vistas are a treat because they remind you that you’re playing Titanfall. Your pilot’s mobility is begging to be used, and ironically it’s these levels—which often rely on your wall-running skills more than your guns, like a bizarre homage to Mirror’s Edge—that best take advantage of the series’s unique strengths. Not every experiment is successful. Some levels (especially the first few) drag on too long, a series of tedious Titan-on-Titan boss battles kill the pacing, and I wish there were more difficult platforming sections included. Also, the brilliant environments are undercut by some of the dumbest AI to grace a shooter since...well, the original Titanfall. But overall, Titanfall 2’s campaign is wildly creative when taken from a level design standpoint. From a writing standpoint? Not so much. If you want any more background—say, “Who is the Militia?” or “Who is the IMC?” or “Why are we at war?”—too bad. Without even a “Previously on...” to tide you over, Titanfall 2 just assumes you remember its predecessor’s lore, which is maybe one of the weirdest assumptions ever made by a video game sequel. Did you play the original Titanfall’s campaign? If not, I would’ve said you hadn’t missed anything. It essentially threw you into a series of multiplayer matches, except random voice actors read lines of dialogue during the midst of battle. At best, it was boring. At worst, it was incomprehensible. It’s so cliché as to almost be hilarious—which I think might be the point. All the villains are one-note caricatures, including an Austrian-accented mercenary named Richter who says “Don’t try so hard to be a hero. You’ll live longer.” A villain who parodies Arnold Schwarzenegger? Yeah, I think there’s a bit of Saturday morning cartoon-style silliness here. Your relationship with your Titan is similarly cheesy, taking on a sort-of buddy cop feel. The writing relies a bit much on the overplayed robot-doesn’t-understand-human-idioms joke, but ultimately the partnership between you and BT-7274 is the story’s peak, with a lightweight dialogue-choosing system injecting some life into your otherwise-bland character. It’s not great, okay? It’s not. Titanfall 2’s campaign is a pastiche of other, better sci-fi—be it game, film, or book. It’s predictable to a fault, often generic, and the voice acting is hit-or-miss. But it makes for a decent night or two of dumb, mindless action with a friendly robot buddy. I’d say it’s worth playing through, if only to see some of the more creative ideas Respawn’s packed into the levels themselves. I wish we’d gotten Titanfall 2 the first time around. The multiplayer is as unique as ever, and the addition of a singleplayer campaign (however brief) helps to pad out the game and give its best ideas more room to breathe. Not everything works—least of all the writing—but if nothing else Respawn proves it’s a studio willing to experiment, to push boundaries in a way Battlefield and Call of Duty largely stopped doing years ago. 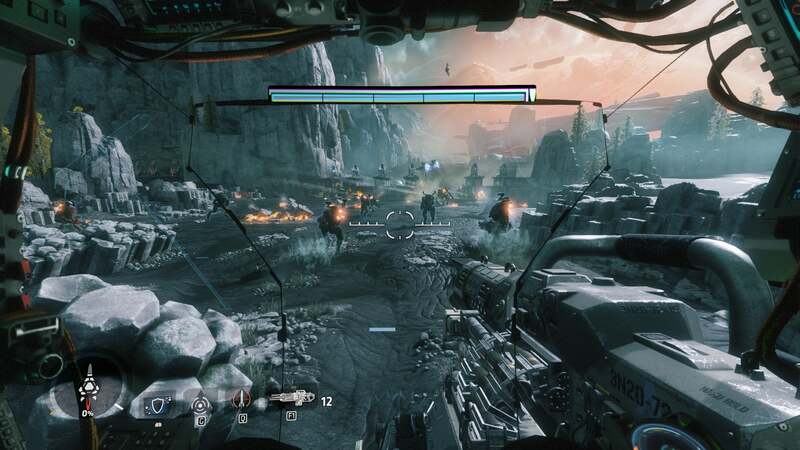 That makes Titanfall 2 interesting, despite its flaws. Now cross your fingers people stick around this time.